Previously on the blog, I shared how I KonMari'd my kids clothes (Baby, Toddler and Tween) and their books. Now I am ready to tackle the PAPER. 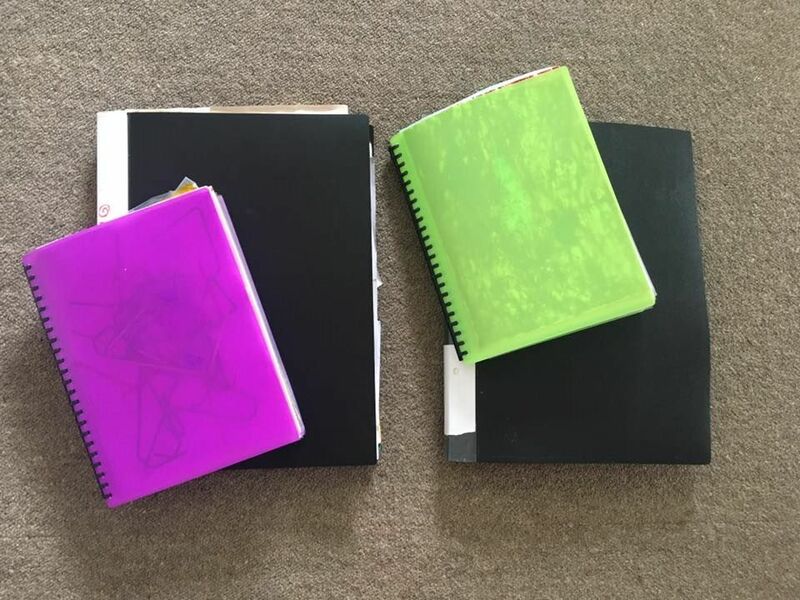 If you have been following my blog for a while, then you will know PAPER was a HUGE category for me, and going through the kids paper is going to be a bit of a mission - there is a lot of paper to get through. So for the benefit of this series and the category of PAPER - I will be breaking it into two parts: KIDS ARTWORK and SCHOOL MEMORABILIA. 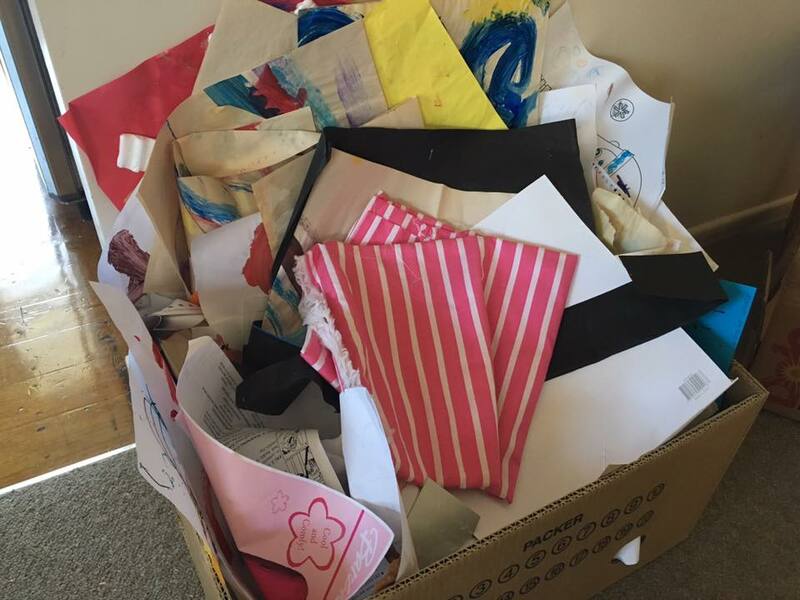 Some of you will probably be thinking that they should really be in the Sentimental category, and I do agree - Kids Artwork and School Memorabilia are very sentimental, however - it's paper and it needs to be dealt with, sooner rather than later - otherwise it will forever be in the 'too hard' basket. Am I right? So are you with me? Let's Do This! Over the years I have been swimming in what feels like a pool of artwork. 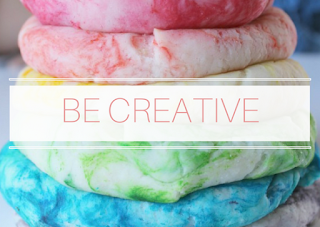 My kids love doing art - painting, collage, cut and paste, colouring...plus much more. For many years, I have held onto almost every piece of artwork my daughter (now 12) has done. I had them stored in boxes and DIY art folders, and now, FINALLY, I am going to go through the lot and sort them into piles of KEEP & DISCARD. My son is 3 and already has a collection, so I really need to get it sorted once and for all, only keeping the pieces that spark joy to me and my kids (most importantly, my kids) - because one day, everything we decide to keep, will eventually be returned to them. In Marie Kondo's second book, Spark Joy, she briefly talks about the various ways of approaching your children's creations. 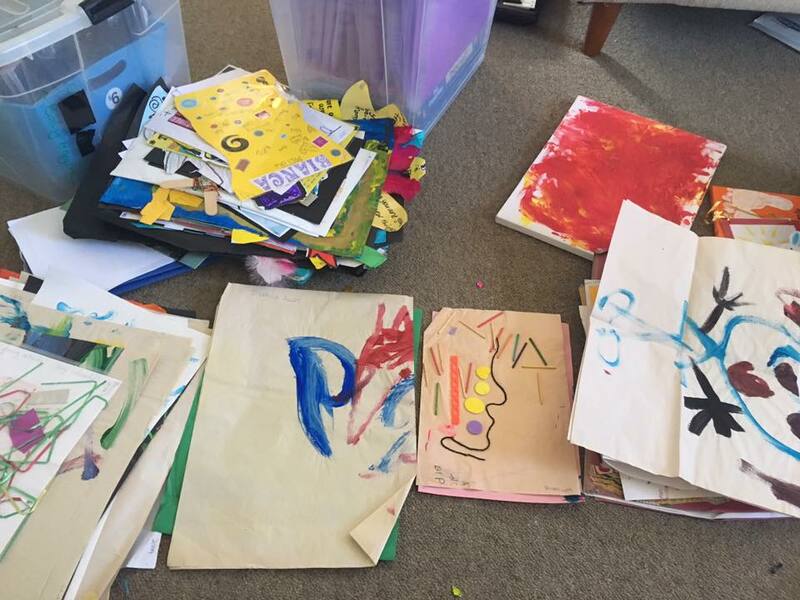 For example: "taking a photo of your children's art before throwing it away" or "deciding how many [pieces] you will keep and sticking to that number". She goes on to say "if there are items you cannot bring yourself to part with now, there is no need to force yourself to discard them". Simply take care of them. 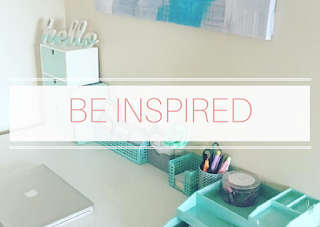 Dedicate a spot in your home to display the art so everyone can enjoy them. "Once you have enjoyed the works to the full, you can thank them for helping your child grow and discard them guilt-free". 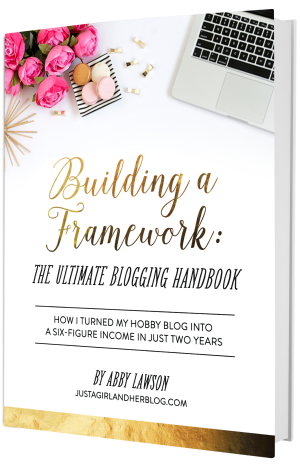 Reading this definitely helped take the pressure off and it inspired me to start the process. Before I started, I gathered up all of the kids artwork and put them in the living room where I was going to sort them. I spent a little while just staring at the volume of the artwork I had collected and kept over the years - carting it all from house to house. (My daughter and I moved a couple of times in her first 7 years). 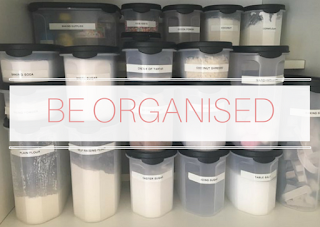 My plan was to sort everything into sub-categories first - KIDS + YEARS and then get stuck into the purging. I started with the most recent items, which were stored in a 'My Art Portfolio', that I purchased from KMart earlier last year. 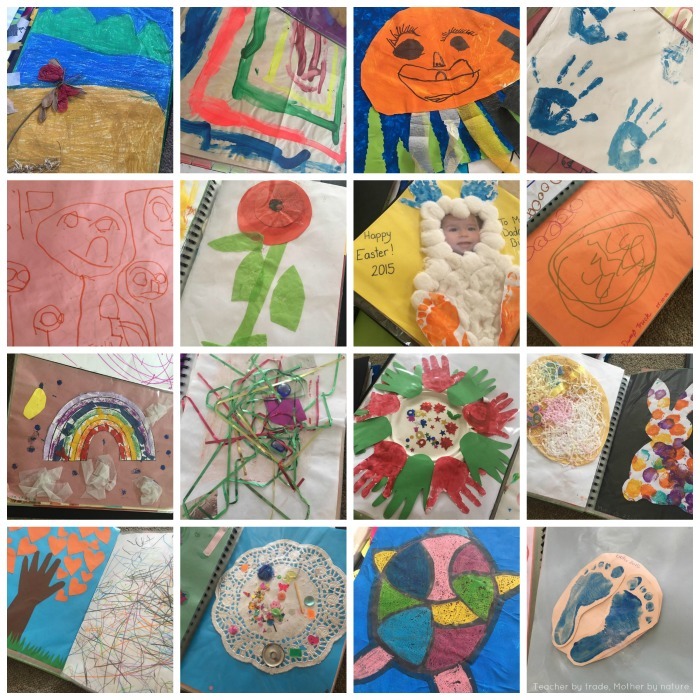 One portfolio contained a few items from my daughters last year of primary and the other was full of artwork from my son - a combination of Playcentre art and art he did at home-based care. I pulled everything out, and made a pile for my son and a pile for my daughter. I continued working through the boxes and started adding items to the two piles. They got bigger and bigger and I wasn't sure if I could actually go through with this. 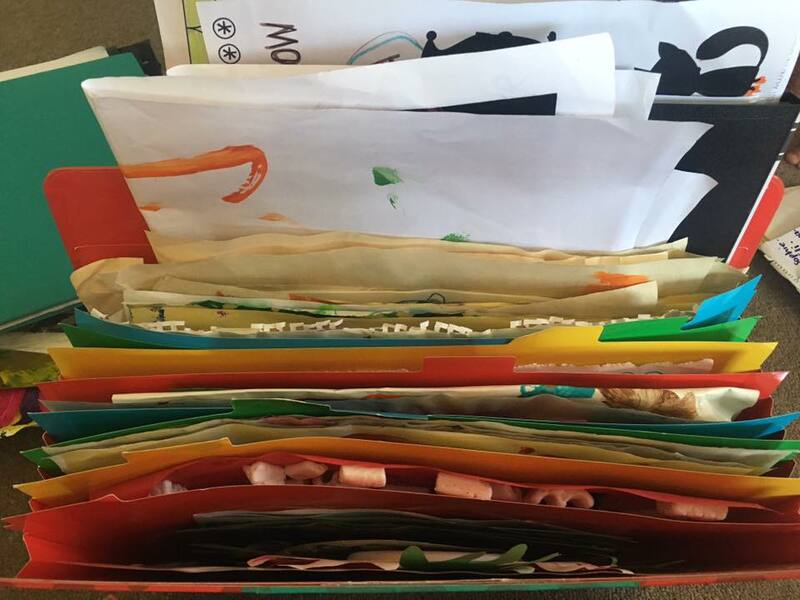 Once I had all of the kids artwork out of the boxes and portfolios, I began putting them into piles according to the year they were completed. I blitzed through my son's as it was only 2 years worth of art - there was quite a lot, nonetheless. I discarded any artwork that wasn't named or dated, especially if it only had a few strokes of paint on - I had several of these that were named and dated, so the excess was definitely not going to be missed. Master M saw his 'plate art' and picked it up. His face lit up, so I immediately took a photo. 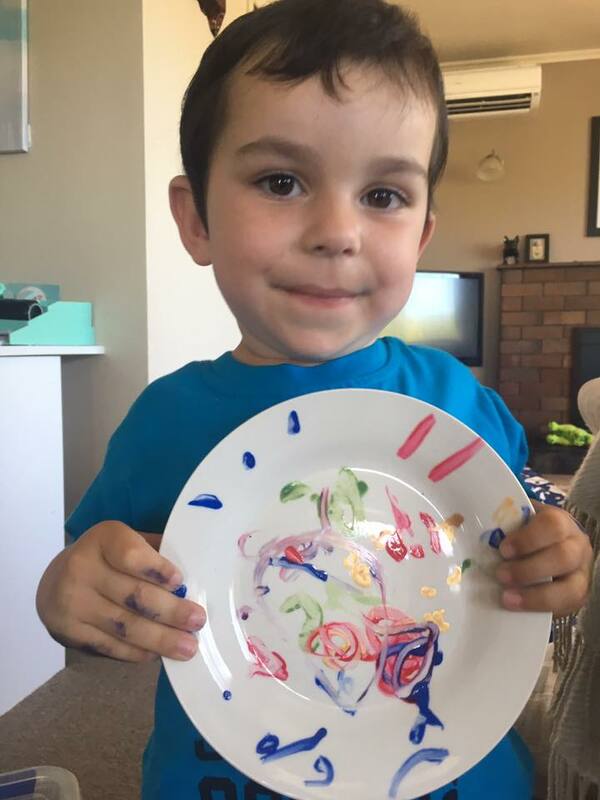 He was very proud of his 'plate art', so I knew it was a keeper and even though I took this photo, I have actually kept the plate in his keepsakes box too. Moving along...I had the same process for my daughters artwork - 11 years worth. It was like taking a trip down memory lane, looking back at art she did when she first started school. During the initial purge, we (my daughter and I), discarded anything that was not dated, unless it was something she created at school and wanted to keep, if this happened we would think about who her teacher was at the time and pin point the year that way. (Alternatively, you could look back at their Year books). I put the year on the back of each piece of artwork, just in case they got muddled up. At this moment in time, you could not see my living room floor - there was art EVERYWHERE, however it was organised chaos - and the piles were starting to grow. 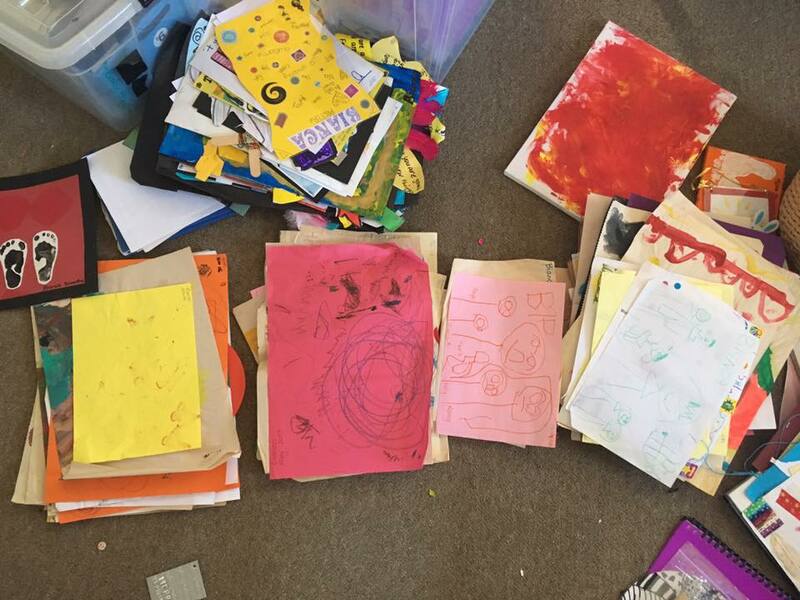 Once I had the art in piles, according to year (from 2006-2017) we started from the oldest pile (2006) and picked out the favourites, the items that sparked joy for me and my daughter. As we were going through each year, the piles got smaller and smaller. Miss B loved looking back at her art, some sparked joy, some made her laugh out loud because she couldn't believe she created it and others were a definite NO. There were a few pieces we had to negotiate over, but that's okay - it's all apart of the process. The process from start to finish probably took less than two hours to complete. 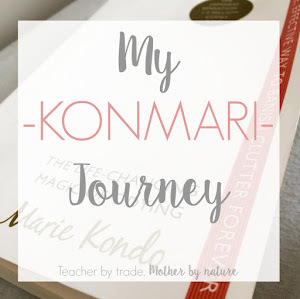 The great thing about the KonMari method, is that you only have to do it once! Now I can put my new systems in place and keep on top of the art clutter. I am pretty proud of what we discarded, we thanked the art for helping the kids grow and put it in the rubbish/recycling. After 11 years of holding on to it, I was glad to see it go, no longer taking up space in my home. And THIS is what we are left with! This is our current system. 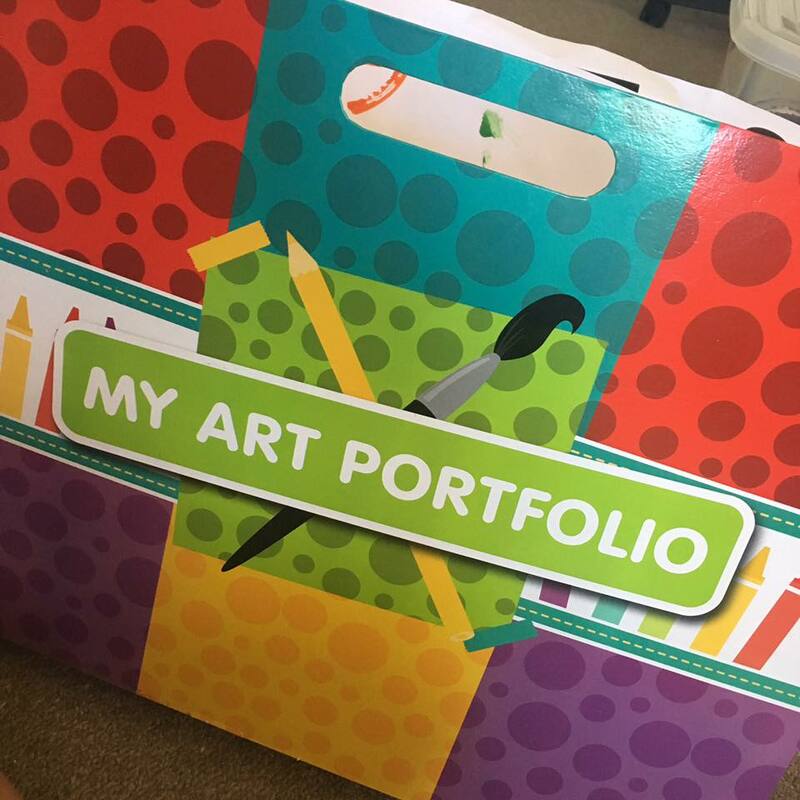 Each child has: 1 x A3 clear file folder (for larger pieces of artwork); 1 x A4 clear file folder (for up to A4 sized artwork) and 'My Art Portfolio' (which holds the current artwork from care and playcentre). Before the art goes into the clear file folders, it is put on display in the playroom (pegged up on a string), for a couple of weeks. 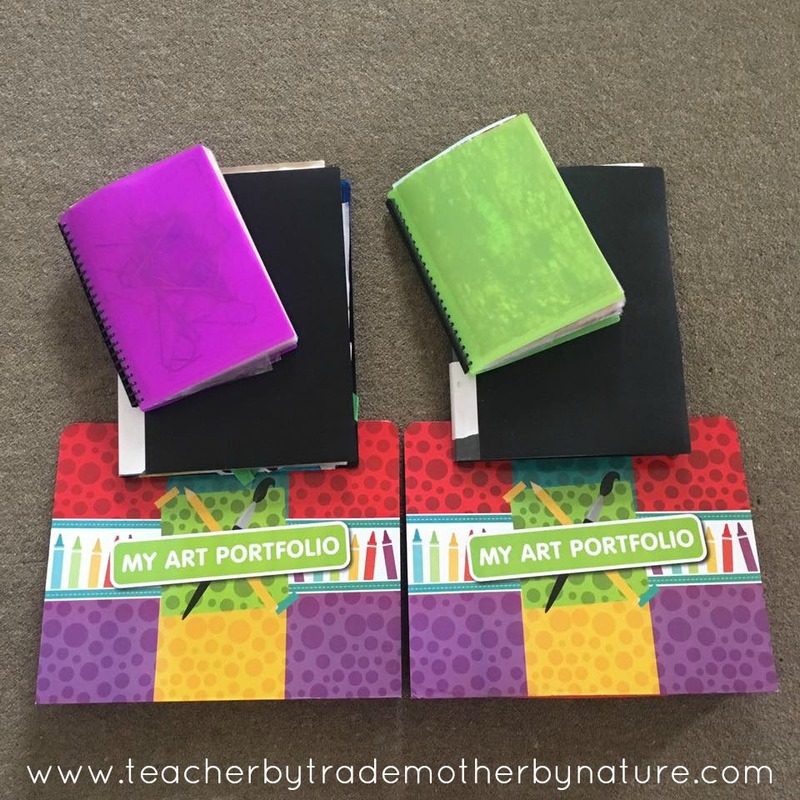 When new art comes in, the older pieces are placed into the 'My Art Portfolio', and at the end of the term, we select our favourite pieces and add these to the clear file folders, and discard the others. For my son, some of his art is pasted into his Playcentre portfolio or slipped in the back of his home-based child care portfolio. I also add a few items from my daughter's art collection into her school memorabilia folders (more on that another day). 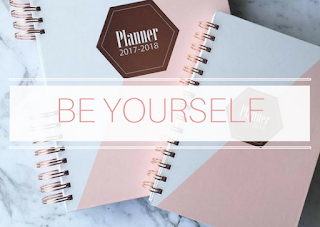 I have also looked at Project Life (using the Project Life App) & ChatBooks (using Instagram or Facebook) - which are both great ideas. Oh the decisions! If you ARE wanting to take photos of your kids artwork, be sure to check out Becky Higgin's Tips for Photographing Children's Artwork. 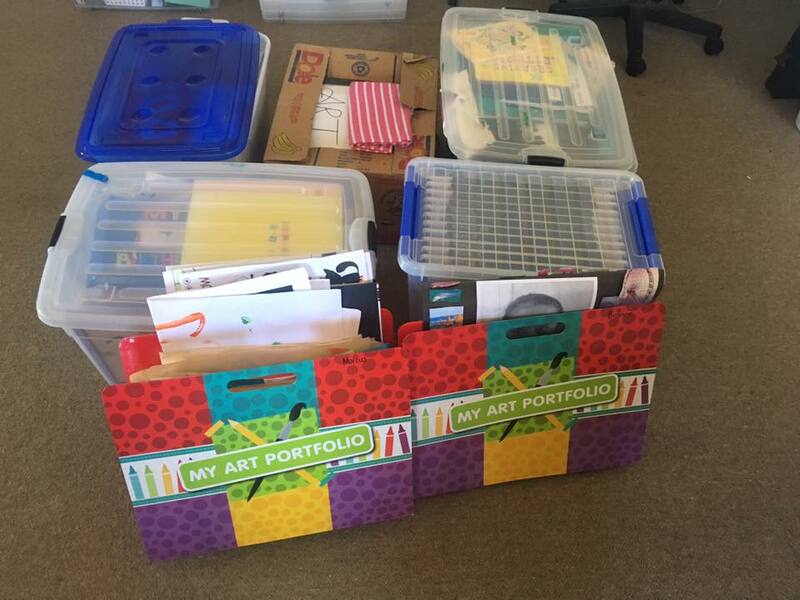 There are so many ways we can store and organise our kids artwork - do what works for YOUR family. However, the first thing I recommend you do is cull and choose your favourites. 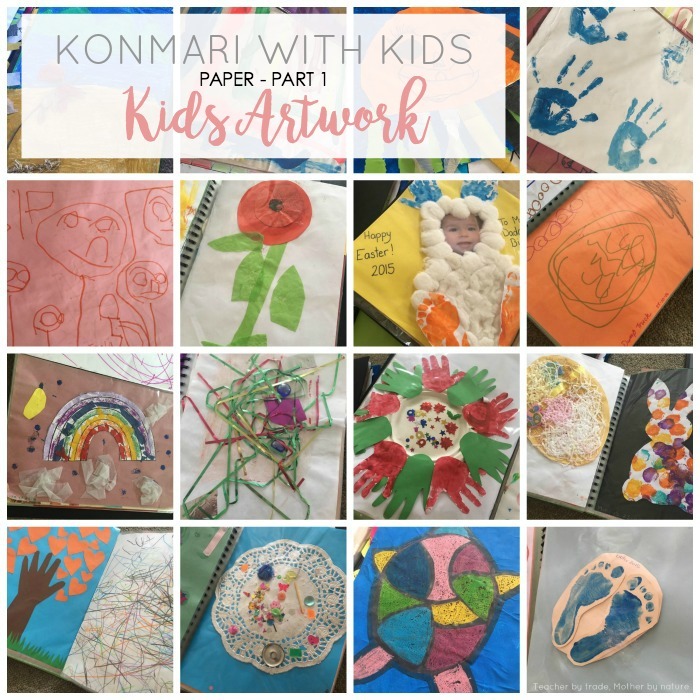 Are you feeling overwhelmed by your Kids Artwork? 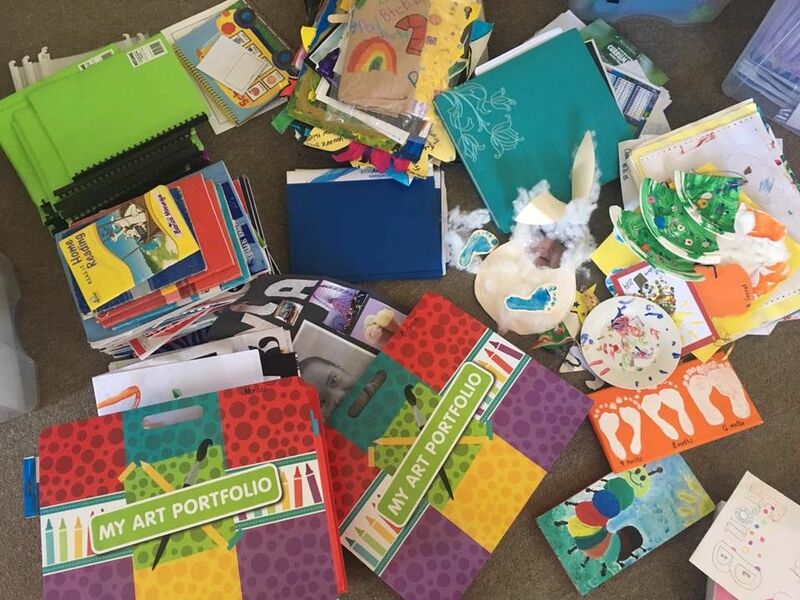 How do you currently store/organise your kids artwork? Sorting through all of the school memorabilia sounds like a big task, and it probably will be - however I know it's going to be worth it. Watch this space. 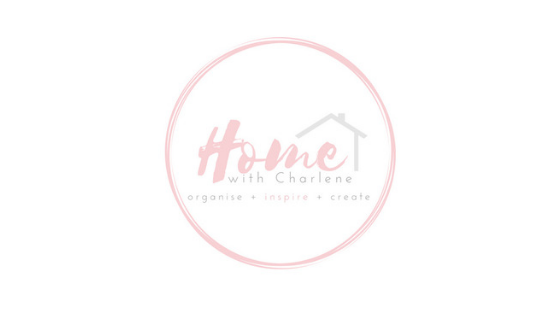 Hi Charlene, that looks amazing! I have been dreading doing this, my kids are 11 and 8. Do you keep there school books? I have kept all there school stuff as well! As well as clay and art pieces, any suggestions on what to do with them? Or how to keep them? 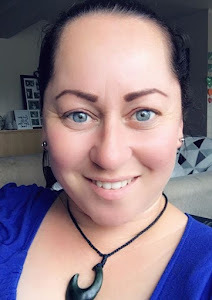 HI Jodie, thank you! I will be sharing 'School Memorabilia' SOON on the blog - so watch this space!